High food prices are a major international issue that’s ongoing. And I’m sure you’ll agree. We may not live in the same country but I’m certain we both experience rising food prices when we visit the supermarkets. Here’s a diagram of the amount of money held by one of the largest stock exchanges in the world….the Dow Jones. 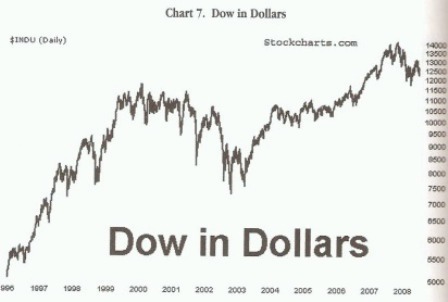 Are you noticing that the amount of money held by the Dow is increasing? That’s right. What are you noticing? 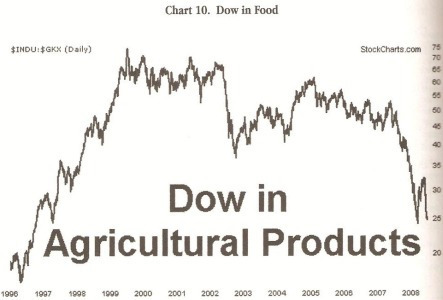 Are you seeing that although cash is increasing in the Dow, that money buys less and less agricultural products? Higher and higher food prices. So How Are We Going to Combat High Food Prices? Well, growing a vegetable garden is an excellent way of solving this problem. It’s actually a pretty good investment. And there are a lot of benefits that can come out if this. Starting a vegetable garden is not expensive and the savings that you can experience may surprise you. People in general usually spend about USD$500 yearly for the most on gardening. And fertilizers and seeds may cost only USD$100 a year. 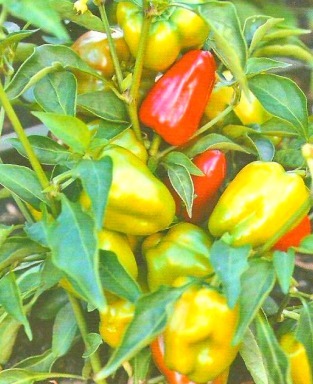 Now the value of the vegetables and herbs produced can average over USD$2000 annually. Now that’s a very good deal. Invest a few hundred dollars and get thousands of dollars worth of food in return. 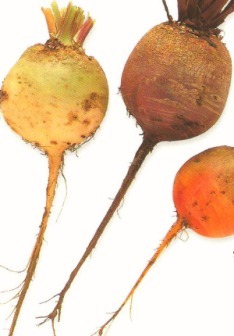 The good thing about these vegetables is that they are common. In other words they’re not unusual or not commonly consumed by us. All you can do is make a list of the vegetables that your family enjoys. Then go through our site for more info on how to grow them. Buying tomatoes especially is usually expensive. But a few tomato plants on your compound can produce this pricey vegetable throughout an entire season. You know exactly where the food came from as well as the kind of fertilizers and pest control agents used. You basically have detailed knowledge of how your plants were grown in your garden. Gardening is also good for the body and mind. It’s great mental and physical exercise. Doesn’t this present an opportunity to reduce your health care budget? It certainly does. And finally…growing your vegetables is a great way to participate in the green movement. The crops you produce use the carbon dioxide through the process of photosynthesis. Having your own vegetable garden means fewer trips to the supermarket. Therefore you conserve energy and burn less fossil fuel. I guess it’s a great way to reduce your carbon footprints. Today is a great day to start your campaign against increasing food prices. Begin by finding a sunny spot in your yard. All these locations are perfect for a vegetable and herb garden site. And pretty soon…you’ll be on your way to cutting back on your budget for food. 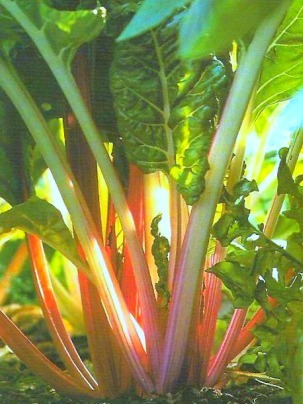 High food prices are an issue that vegetable gardeners can combat. And I believe that an increase in home gardens can see a fall in food prices.